Domestic Cleaning by Steins Home Cleaning Services, Eastleigh and Southampton. With a team of dedicated and professional cleaners, Steins Cleaning Services offer a full range of domestic cleaning and housekeeping services. With over 25 years of experience in the cleaning industry, we take the stress of cleaning your property away from you. Whether it's a daily or weekly routine, from dusting to washing your kitchen utensils, our team will do it all at completely affordable prices. Steins Cleaning Services offer a flexible, tailor-made domestic cleaning service based on your requirements. We know what it's like to let other people into your home to work which is why we've gone to great lengths to carefully select and fully train our staff to give the best possible results. You can completely trust Steins fully insured and vetted Cleaning Services. 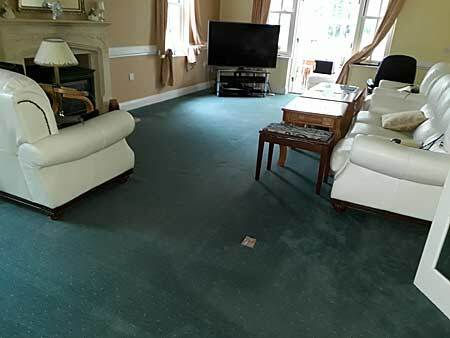 Our cleaning staff are friendly and thorough in their work which includes vacuuming and dusting, furniture polishing, bathroom and toilet cleaning and window cleaning. On this site you can also read about our office cleaning services. And you can also rely on us for end of tenancy cleaning. Trust us to clean your property ready for your new tenants to move in. Chris and Hollie from Steins Cleaning Services came to clean my house after I had moved in. They did a full house deep clean including carpets and oven. They arrived on time, were very friendly and communicated throughout the clean. I would recommend Steins Cleaning Services as they were very reliable and they did a fantastic job. The house looked fantastic and as good as new when they finished. In addition, Steins Cleaning Services offers commercial cleaning services. Please contact our house cleaning company for a free quote on our cleaning services.